Organization for Bat Conservation | Fight the bite! One bat can eat up to 1,000 mosquito sized insects per hour while feeding. As hardy and resilient as our ecosystem may seem, it is really quite delicate. One species facilitates the survival of another in a sensitive web or intermingling habitats. With this in mind, one species can experience a problem and the result can cause a domino effect that sends other species into a tailspin. One example of this is happening right here in South Carolina with a disease that has already killed millions of bats throughout Eastern North America and has now been confirmed in our state. 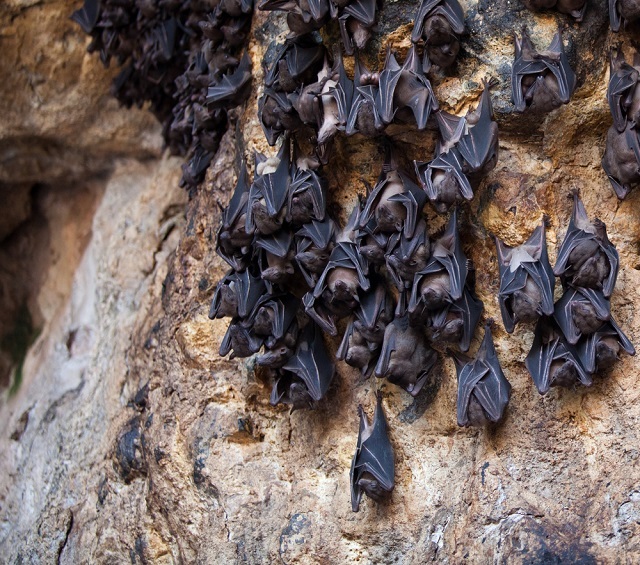 Bats that hibernate in mines and caves are vulnerable to the WNS. The disease is called White-Nose Syndrome (WNS), and is spread from one bat to another by a fungus called Geomyces destructans. The name of the disease refers to the white fungal growth found on the noses of infected bats although it is also found on their wings and tail membrane. While the disease is not harmful to humans, it is believed that humans are facilitating the numbers of bats becoming infected through the transport of infected gear and clothing into the bat’s habitat. The little brown bat is a is one of the S.C. bat species that are being affected by WNS. The Organization for Bat Conservation has reported “WNS infected bats are awaking from their winter as often as every 3-4 days as opposed to the normal time frame of every 10-20 days. This is considered the “itch and scratch” hypothesis, which means the more irritation caused by the higher rate of arousal and use of precious body fat. 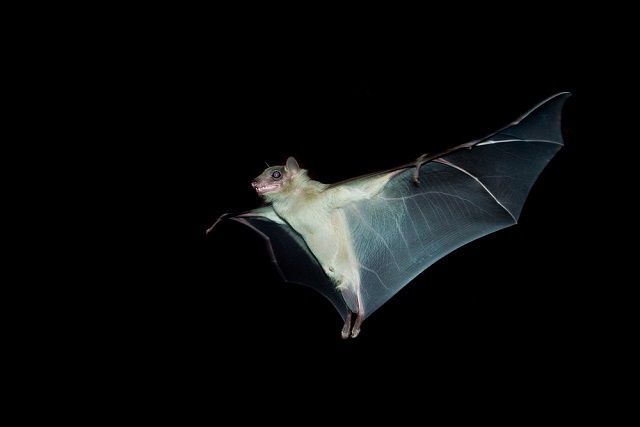 The fungus damages the connective tissues, muscles and skin of the bats and also disrupts their physiological functions. While bats are in winter torpor their immune system is compromised. Bat’s bodies are trying to conserve energy by lowering their physiological activity including heart rate, respiration, metabolism, and body temperature. The bats wake up dehydrated and hungry during the cold winters when there are no insects to eat. Unfortunately, about 90% of the bats affected perish due to starvation. To date there is no cure or treatment for White-Nose Syndrome and mortality in some bat species has exceeded 98%. Some rare species of bats may face extinction from this disease. In South Carolina these species include the brown bat, little brown bat, Eastern small-footed bat, Northern long-eared bat, tricolored bat and Southeastern bat. The concerns of the debilitating and fatal effects of this disease reach far beyond the bat singularly. The bat plays a major role in maintaining and balancing our ecosystem. 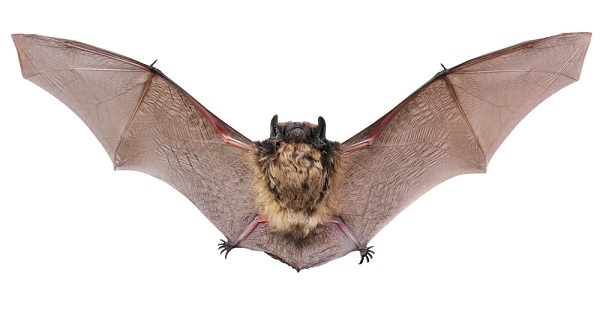 Bats are a primary predator of night-flying insects such as mosquitoes. One bat can eat up to 1,000 mosquito-sized insects per hour while feeding. An average bat will feed for 3-6 hours each night and this adds up to a large quantity of insects the bat is eliminating. Many of these insects are vectors of illness and diseases such as West Nile Virus that could potentially be spread to humans. Bats are a link in eradicating mosquito borne illnesses that would otherwise potentially cause human infections. According to an article released by the South Carolina Department of Natural Resources, the one million little brown bats that have already died due to WNS would have eaten between 660 and 1,320 metric tons of insects in one year. This illness is posing a threat of huge losses to agriculture as well. It is estimated that insect-eating bats provide a significant pest-control service, saving the U.S. agricultural industry at least $3 billion a year. Bats are a beneficial part of South Carolina’s ecosystem and the South Carolina Department of Natural Resources is working closely with its partners to understand this disease and to help minimize the impact on our S.C. bats. Contact us to learn more about our safe and effective mosquito control program. Since unfortunately we may not have as many bats to help with mosquito control this season, Mosquito Squad is even more of a great solution. 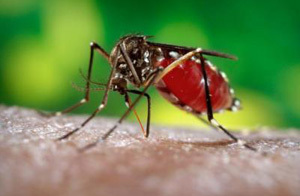 We provide a comprehensive mosquito control program including our effective barrier spray. We spray your yard throughout the summer for complete protection. This effectively creates a barrier around your yard protecting you from mosquitoes. Living mosquitoes are eliminated on contact. Then our product works on a timed release to keep your yard mosquito free until our next visit.